This blond unfiltered and cloudy beer, is refreshing with 5,5° of alcohol and has a marvellous flavour of malt and fine hops. 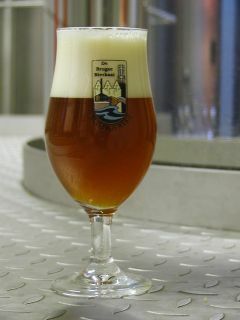 This beer is named in honour for the scientific Simon Stevin, who was born in Bruges in 1548. You can find his statue on the little market near the Brew Pub. This special dark beer of 6,5° has a slightly bitter taste of hops and roasted malt. 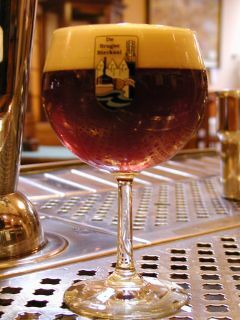 This beer is named in honour for the famous burgundies duke who lived in Bruges in the 15e century, Charles "the Naughty". The name serves also as a warning, because the beer has a high alcohol density. 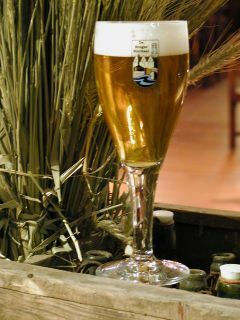 This strong clear blond beer of 8,5° has very rich flavours and is a beer for real beer lovers. Brewed per season or for special occasions. Offer limited ! 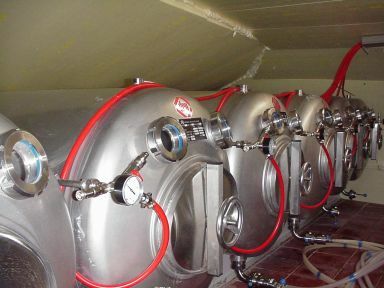 WHY BREWING BEER ON THE SPOT ? 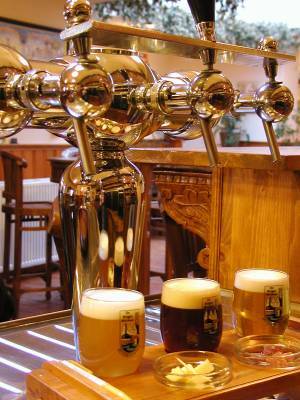 If a beer is not pasteurised, the flavourings and nutrients are preserved. The lively yeast still in the beer has a high concentration of B12, B2 and B1. 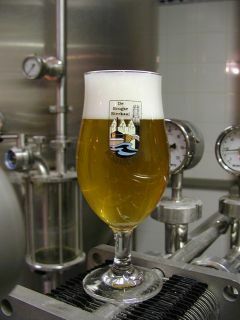 The beer is tapped directly from the distribution tank without adding C02. So, guarantied no headache after a few glasses !